The Jats are a large Indo-Aryan ethnic community dominating the regions of Haryana, Punjab, Uttar Pradesh, Madhya Pradesh, Gujarat and Rajasthan. Some historians claim that they are descendents of the Indo-Scythians who entered India from Central Asia, while others go further, linking them to the ancient Getae and Scythian Massagetae. They were mainly agriculturists and warriors, and were later categorised by the British as a martial race and inducted in the army on a large scale. The Jats are mainly Hindus, but Jats had also embraced Sikhism in a major way and the best-known example of a Jat Sikh was Maharaja Ranjit Singh, the founder of the first Sikh empire in the nineteenth century. There are records of several other Hindu Jat kings in history. 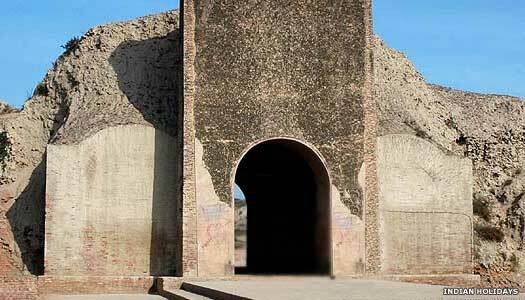 One of these was the raja of Umarkot in 1540, when the Moghul emperor, Humayun, sought refuge with him. Earliest known Jat king, in Shalpur. Shalinder rules the regions of Shalpur (Sialkot in present day Pakistan). The Umayyad Islamic general, Muhammad bin Qasim, sails to Sindh and conquers both that and Punjab (in modern Pakistan), marking major conquests for the caliphate. However, resistance emerges from the Jats in Sindh. The Jats came to prominence in the seventeenth century, when they rebelled against the atrocities carried out by the Moghul Emperor Aurangzeb. In 1661, the Jats of Bharatpur were stirred up when a Muslim officer destroyed a temple to replace it with a mosque. He also apparently harassed the populace on a regular basis. Resentment boiled over and an uprising occurred in 1669, led by a Jat village chieftain by the name of Gokula and backed up by twenty thousand followers. The uprising failed, and Gokula was captured and put to death in 1670. The more successful second rebellion began in 1686, and continued past the death of Aurangzeb. He was the last truly powerful Moghul ruler, so the Jats were able to establish an independent kingdom with Bharatpur as its capital. Several other Jat kingdoms followed, both major and minor. The major kingdoms included Bharatpur, Gohad, and Dholpur (all now in Rajasthan), Kuchesar, Ballabhgarh, and Mursan (all now in Uttar Pradesh). Other important Jat kingdoms were those of Patiala, Nabha, and Jind (all three in Punjab and all ruled by Jat Sikhs), plus Firozbad, Saidpur (Bulandshahar), and Peshawa (all now in Uttar Pradesh), Nandadevi (now in Garhwal), Dungarpur (now in Rajasthan), and Alwar, plus the Sikh kingdom of Lahore-Punjab (presently in Pakistan), which was founded by Maharaja Ranjit Singh, himself a Jat. Leader of the first uprising. Gokul leads the Jats in an uprising against the local Muslim officer, Abdul Nabi, killing him and looting his tehsil at Sadabad. Moghul Emperor Aurangzeb orders the destruction of the Keshav Dev temple in retaliation in 1670, which further inflames the Jats. Around 20,000 of them attack Moghul posts, prompting Aurangzeb to confront them at the Battle of Tilpat. Gokul is captured and put to death and his followers are punished severely. The Jats rise up again under a new leader. Rajaram sacks Akbar's tomb in Sikandara in retaliation for the killing of Gokula, but he himself is killed two years into the uprising which continues under the leadership of his younger brother. However, the Moghul army under the Kachwaha general, Bishan Singh, attacks the Jat territories. Around 1500 Jats are said to be massacred in comparison to the Moghul and Rajput casualty list of nine hundred. Village chief of Sinsini and leader of the second uprising. Son. Founder of the first Jat kingdom at Bharatpur. Chieftain of the Jat Sogaria clan. Annexed Bharatpur c.1722. Churaman is determined to clear Jat lands of the Moghuls. He builds up an army and even constructs a fort at Thoon (near Agra). A large number of Jats gather under his leadership, including Khemkaran Sogaria, a Jat chieftain of the Sogaria clan, and he generates additional funds by raiding the regions of Bundi and Kota. He soon wrests Sinsini and Amber from the Moghuls, and in the process forms a powerful regional kingdom. In Churaman's last days, a fight over property rights ensues between his sons, Mukham and Zulkaran. When both of them refuse to listen to reason, Churaman suffers a fit of anger and consumes poison, ending his life. A third contender to the rights for Churaman's property appears in the form of his nephew Badan Singh. Badan seeks the help of the Rajputs under Jai Singh II, raja of Jaipur, and defeats Mukham in battle. He also saves the life of Jai Singh II and is awarded the title of 'Brijraj' (king of Brij), becoming an important courtier in the Jaipur court. However, it seems that control of Bharatpur itself is lost to Khemkaran Sogaria around this time. Cousin. King of Brij & thakur of Deeg. Abdicated, and died 1756. Badan Singh includes the forts of Thoon, Jatauli, Deeg, and more, as his own, and is also given Mathura, Vrindavan, Hisar, Chata, Kosi, Hodal, and Mewat as his jagirs (fiefs) by the raja of Jaipur. The Moghul emperor also recognises him as a king (belatedly) and awards him the title of 'raja' in 1724. Son of Khemkaran Sogaria. Ruled in Bharatpur. Having developed a troubling eye ailment, Badan Singh abdicates and distributes his properties amongst his sons. Surajmal and Pratapsingh are the biggest beneficiaries, but Pratapsingh dies an untimely death and Surajmal is declared king. Son. Killed in an ambush. Surajmal helps Fateh Ali Khan, nawab of Aligarh, to repel an attack by the Moghuls at the Battle of Chandaus. Around the same time Surajmal recaptures Bharatpur from Khemkaran Sogaria. Surajmal defeats a Moghul army and forces the signing of a treaty whereby the Moghuls agree to pay a handsome fee as war compensation, plus promising not to desecrate Hindu temples in Jat territory. Faujdar Bahadur Singh Bargujar of Koil and his son Ajit Singh are killed by Surajmal, and the fort of Ghasera is captured. In the same year, 1753, the Jats also sack Delhi, forcing the Moghuls to seek help from the Marathas. They besiege the Jat fort of Kumher and are on the verge of capturing it when the Jats request the intermediation of Diwan Roop Ram Katara, who is on good terms with Jayappa Scindia. The Scindia ruler of Gwalior uses his influence over Raghunathrao, brother of the Peshwa, to pressure the commander of the Maratha forces, Malharrao Holkar, into accepting a treaty with the Jats, which he does in 1754. The Jats are prepared to help the Marathas in their fight against the Afghan king, Ahmad Shah Abdali, but differences over powersharing in Delhi arise between Surajmal and the Maratha commander, Bhausaheb. As a result, the necessary help on the battlefield is not forthcoming and the Marathas lose the Third Battle of Panipat. Afterwards, Surajmal takes advantage of the war-weariness of all sides in the conflict and expands his own territory (around Haryana), and captures the fort of Agra in 1761. The fort of Farukhnagar is added to Jat territory, and Jat expansion seems unstoppable until Najib Khan, the nominee of the Afghan chief Abdali, strikes a blow against it on 25 December. While on campaign near Delhi, Surajmal is ambushed by Najib's men and is killed. To gain the throne, Jawahar Singh has to fight a war of succession against both his brother and his maternal uncle, Balram, with his opposition being supported by the Marathas and the raja of Karauli. Jawahar emerges victorious, and later helps form an independent state at Dholpur by weaning it away from Maratha dominance. Alliances are even made with the British East India Company in order to keep away the Marathas. Brother. Lived a debauched lifestyle. Murdered by a juggler. Son. Infant at accession. Died of smallpox. Uncle (and regent in 1769-1771). Due to family disputes with the sons of his younger brothers, Durjansal and Madho Singh, Baldeo Singh seeks British intervention. With the help of the resident Sir David Ochterlony, his infant son, Balwant Singh is recognised as his heir. Upon Baldeo's death, Balwant Singh is imprisoned by his cousin, Durjansal, but the British intervene and Balwant Singh is reinstated as king. Ram Singh is deposed and exiled by the British following his murder of one of his servants. He dies in exile in Agra in 1929. Wife. Acted as regent for her son. Died 1922. Son. Last king of Bharatpur. The dominion of India is formed on 15 August 1947 following the official handover of power by the British. The Jat kingdoms of Bharatpur and Dholpur are subsumed within the republic and their rulers left with just their titles. The creation of the dominion of India on 15 August 1947 changed everything for the Jat kings. It achieved what centuries of Moghul, Maratha and British rulers had not by sweeping away the old order of princes and kings. 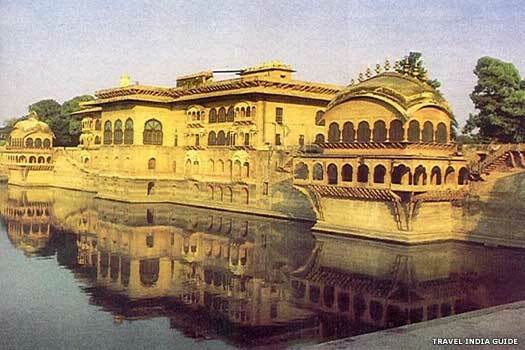 The Jat kings of Bharatpur were left with only their title. Brijendra Singh serves as a member of the Indian parliament. The Indian parliament decides to abolish the institution of royalty, and the following year the rulers of the former princely states are de-recognised and their privy purses and titles snatched away from them.